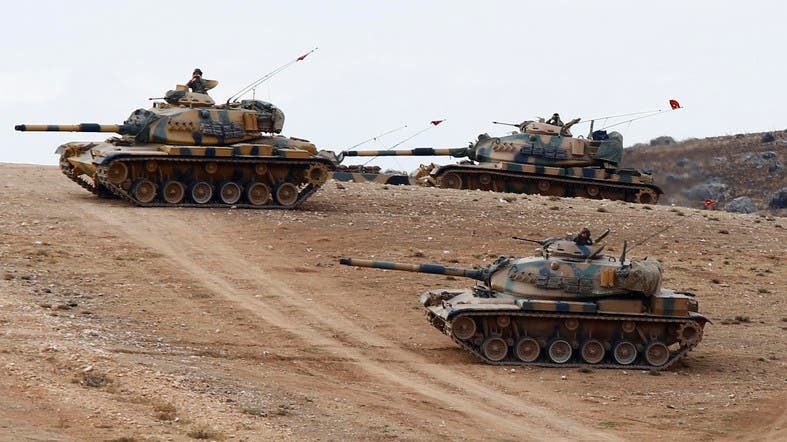 Turkey’s parliament granted on Thursday the government authorization to launch military incursions into Syria and Iraq as well as allow foreign forces to use its territory for possible operations against the Islamic State of Iraq and Syria (ISIS). The Turkish parliament voted 298-98 in favor of the motion which sets the legal framework for any Turkish military involvement, and for the potential use of Turkish bases by foreign troops, the Associated Press reported. Turkey, a NATO member with a large and modern military, has yet to define what role it intends to play in the U.S.-led coalition against ISIS. The Turkish parliament had previously approved operations into Iraq and Syria to attack Kurdish separatists or to thwart threats from the Syrian regime. Thursday’s motion expands those powers to address threats from ISIS militants who control a large cross-border swath of Iraq and Syria, in some parts right up to the Turkish border, the AP said. Turkish President Recep Tayyip Erdogan pressed the West on Wednesday to find a long-term solution to crises in Syria and Iraq, saying dropping "tons of bombs" on Islamic State militants would only provide temporary respite. Erdogan has pushed for the ousting of President Bashar al-Assad throughout the Syria crisis to settle the conflict and said that international action had to go well beyond air strikes. After months of reticence in the fight against ISIS that exasperated the West, Turkey has now shifted its policy and indicated it is willing to join the international coalition. "Turkey has no intention of intervening in any country's internal affairs or grabbing any other country's land," Erdogan told parliament on Wednesday. "But peace and stability in the region means peace and stability in Turkey," he added.